Arnd (Homepage) wrote: Love the mute colors and the artistic rendering. Very beautiful! Nacho Carreras (Homepage) wrote: Gran skyline, Saludos. Giò (Homepage) wrote: Tanti auguri Paolo, a te e a tutti i tuoi cari! BoB (Homepage) wrote: Bellissima vista, molto belle le luci e le nubi. Ti auguro un felicissimo natale. Miles Wolstenholme (Homepage) wrote: Beautiful image Paolo. Wishing you a Merry Christmas and a Happy New Year. Marcie (Homepage) wrote: Spectacular cityscape. Love the sky. Wishing you and yours all the best!!! Arjan - PlasticDaisy (Homepage) wrote: This has such a nice warm feeling! Like it's a little village from a fairytale. Nice work! 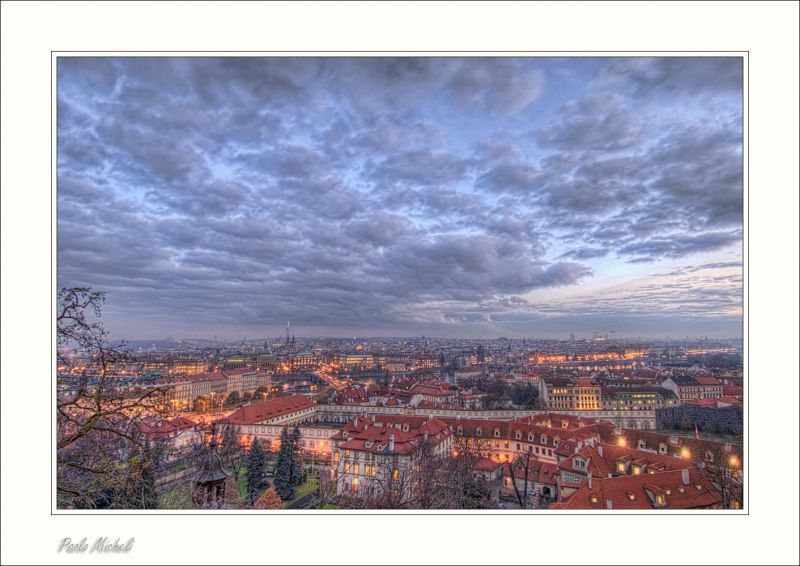 Andres (Homepage) wrote: beautiful wide angle and colors. fantastic image. beanow (Homepage) wrote: Phenomenaly image Paolo! Merry Christmas to you from Poland!